When 100 CEOs of the world’s leading businesses and organizations agree on an issue, people take notice. When more than 500 do, it’s a signal that something big is happening. You may be wondering if these CEOs are simply paying lip service to social trends without any real action. They’re not. Seventy-five percent of Fortune 1000 companies now have diversity initiatives in place, according to Ideal. And, while social and societal responsibilities play a big part in why diversity in the workforce has become a priority for business leaders, experts say it’s also a good business move. A study by McKinsey Global Institute (MGI), for instance, predicts that narrowing the gender gap by doubling women’s contribution to the global labor market could add up to $12 trillion or 11% to global GDP by 2025. Organizations who have not yet made diversity and inclusion a priority, or are looking to step up their efforts, should start with assessing their current diversity situation and then embedding diversity into their business plan moving forward, according to diversity and inclusion consultant and Forbes contributor Janice Gassam. Of all of these, step No. 1 is probably the most important. It’s also one where technology can be a big help. So how can you effectively assess your diversity efforts? It starts with data. Key datapoints measuring diversity include gender and ethnicity makeup, pay equity, diversity of the executive management team, and other factors. But with so much data from so many sources, understanding your overall diversity picture requires a ,“single source of truth” that gathers all your various datapoints into one centralized platform. 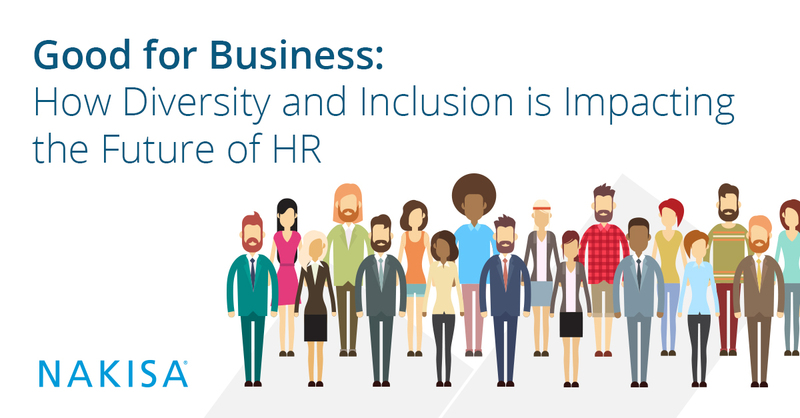 An effective organizational management platform can act as this single source of truth by providing HR and organizational leaders with easily digestible people data to help track important diversity initiatives. Such a system would allow you to easily see all your people data, including that relevant to diversity and inclusion, in a consistent and understandable format. You will be able to filter and generate reports to show any areas for concern or improvement to aid your diversity program. A focus on diversity and inclusion is no longer a “nice-to-have” for businesses. In most industries, ignoring these important social factors threatens the bottom line. The question for today’s companies: Is your organization equipped to make diversity a business asset? If not, it may be time for a change, for positive impact on your overall business performance.